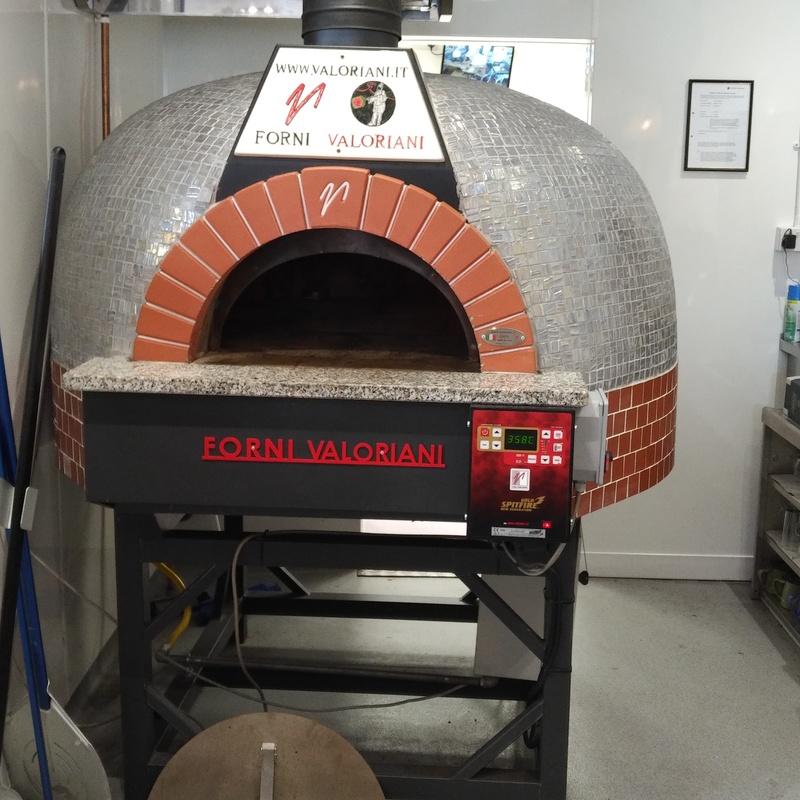 Restaurants, cafés and homeowners buying a Valoriani wood-fired pizza oven sometimes struggle with some of the terminology around them, so here are a few pointers that may just help. This is Italy’s finest ground flour. In Italy, there are three classifications of flour: 1, 0 and 00, with this referring to how finely ground it is and how much bran and germ have been taken out. ‘Doppio Zero’ flour (another name for OO) is very fine and soft and typically comes from the Naples/Campania area. It will give the pizza the distinct chewiness that it should have, to be an authentic pizza. This is mozzarella cheese made from the milk of Italian water buffalo. It is known as “the queen of Mediterranean cuisine” and takes its name from the verb ‘mozzare’ – to cut by hand. Mozzarella di Bufala Campana is the mozzarella that comes from its spiritual birthplace – Campania in southern Italy. Fior di latte is a cheaper mozzarella cheese made with raw cow’s milk and the best-known of this fresh-pulled curd cheese is that made in Agerola, Campania. Due to its water content and ability to be ‘spun’, it is seen as a preferable topping for a true Neapolitan pizza, served in a wood-fired pizza oven than Mozzarella di Bufala, although both are allowed. Mozzarella Pecorella, on the other hand, is a cheese made from sheep’s milk, which is typically found in Sardinia, but now also in Sicily. In the Italian food and drink sector, the DOC mark stands for Denominazione di Origine Controllata and is a form of protection, to ensure that the food carrying this mark is made in typically a traditional, artisan way, to a particular recipe and method of production. Mozzarella di Bufala Campana has had a DOC mark since 1993 and can only be produced to a traditional recipe in certain regions of Italy, namely Campania, Lazio, Apulia and Molise. Those firing up their wood-fired ovens sometimes panic when reading their recipe last-minute, not knowing whether or not what they have in hand are San Marzano tomatoes. This type of tomato is actually a plum tomato, which it thinner and more pointed than others and which has a fleshier texture. It has a stronger, sweeter taste than other varieties and also fewer seeds. This variety was first grown in volcanic soils near Mount Vesuvius, just a stone’s throw from Naples, which is why they form part of the traditional Neapolitan wood-fired pizza recipe. This is olive oil that is made from pure cold-pressed olives and which contains less than 1% free oleic acid. No chemicals touch it during its production and there is no industrial refining during its processing. It is not exposed to any temperatures that could degrade the pure oil. Its taste, aroma and colour are much superior to those of ‘virgin’ olive oils and various scandals have been found to exist in the ‘virgin olive oil’ market. When cooking a simple pizza in your wood-fired oven, whether that is a Marinara or a Margherita, always go for extra-virgin olive oil. This is the Associazione Vera Pizza Napoletana, a Naples-based food organisation which rigorously protects the recipe and method of producing the ‘real Neapolitan’ pizza in a wood-fired oven. In fact, you cannot claim to serve ‘real Neapolitan’ pizza unless you have its approval. If you wish to try to make the perfect Neapolitan pizza, you need to study its ‘Decalogue’ to the letter. Head to http://www.pizzanapoletana.org/en/ They will also train you, if you are happy to travel to Naples. A wood-fired pizza oven should be built of refractory clay, or what can also be called ‘fire clay’. This is clay typically used in ceramics, which can withstand very high temperatures of over 3000°C without disintegrating. It is a mineral aggregate, which contains hydrous silicates of aluminium. If you are an artisan ceramicist, you know that not all refractory clay is the same. That was the case with the Valoriani family, who had worked in ceramics for decades, but then stumbled upon a quarry where the alumina in the clay was of exactly the right amount to make the brick fire up quickly and then retain heat is such a way as to allow the oven operator to maintain a constant temperature and thus cook the perfect pizza. Not surprisingly, after this almost miraculous discovery, they moved the family business to Reggello. Thus began the story of Italy’s finest wood-fired pizza ovens, with a history stretching back to 1890. A pizza peel (or pizza paddle) is probably the wood-fired oven world’s version of a shovel! It is used to slide pizzas and other foods into the red-hot oven and then bring them out again – so that you still have fingers! Aluminium peels are typically best, as dough slips off them more easily that it would from a wooden peel. It needs to be a long-handled ‘paddle’ if you are cooking several pizzas and need to utilise all parts of the oven floor. When it comes to turning a pizza, it is much easier to use a smaller round peel, rather than a rectangular one. Margheritas and Marinaras – what’s the difference? Both of these pizzas are made to a very simple recipe. The Margherita was made for Queen Margherita of Savoy when she visited Naples and should consist of San Marzano tomatoes, freshly sliced mozzarella, fresh basil and extra-virgin olive oil. You may also hear of ‘Margherita Extra’ pizzas, in which Mozzarella Fior di Latte is swapped for Mozzarella di Bufala. The ‘Marinara’ pizza pre-dates the Margherita of 1889 and, contrary to what you might imagine, given its name, has nothing to do with fish or shellfish. It does, however, have its roots in the maritime world, as it was what the poor wives of hungry fishermen made for their men when they returned from sea. It consists of San Marzano tomatoes, garlic, oregano and extra-virgin olive oil. Cheese goes nowhere near it. Wood-fired pizza ovens need to use wood that is fit for purpose, which means it needs to have been seasoned effectively, with a water content of under 20%. To guarantee this and avoid much pain in storing wood for a couple of years, it’s easier to buy in your logs. But you may also hear of ‘compressed virgin beech logs’ and wonder what they are. These are super-green, carbon tax compliant briquettes, formed from ground and compressed virgin beech wood. They are especially designed for cooking, because they are completely food-safe and natural and create no carcinogenic fumes or toxic ash. They also give you a longer and hotter burn than other logs, with ‘Piccante’ from Logs Direct (www.logsdirect.co.uk) having taken this one step further, by created an octagonal log that reduces contact with the floor of the wood-fired oven, improves airflow around it as a result, and so improves combustion.